Emerald straw color. 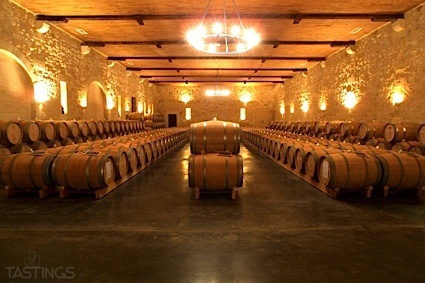 Aromas of gooseberry, grass clippings, ruby red grapefruit, celery leaves, melon granita, cumin, and fennel and dill with a satiny, vibrant, dry-yet-fruity medium body and a graceful, interesting, long passionfruit, white pepper, cilantro, and pipi du chat finish with no oak flavor. A nicely concentrated dry Sauvignon Blanc for true fans of the varietal. Bottom Line: A nicely concentrated dry Sauvignon Blanc for true fans of the varietal. 87 • Luma Chequen 2015 Gran Reserva, Cabernet Sauvignon, Maule Valley 13.9% (Chile) $17.00. 89 • Luma Chequen 2015 Gran Reserva, Carmenère, Maule Valley 13.9% (Chile) $17.00. 89 • Luma Chequen 2015 Gran Reserva, Pinot Noir, Maule Valley 13.9% (Chile) $17.00. 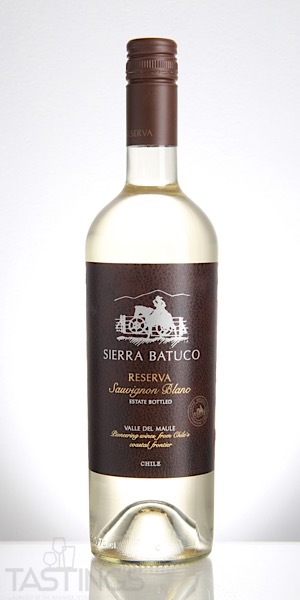 92 • Sierra Batuco 2018 Reserva, Sauvignon Blanc, Maule Valley 13% (Chile) $12.00. 86 • Sierra Batuco 2016 Reserva, Pinot Noir, Maule Valley 13.9% (Chile) $12.00. 88 • Tricky Rabbit 2018 Reserva , Sauvignon Blanc-Carmenère, Maule Valley 12.5% (Chile) $12.00. Sierra Batuco 2018 Reserva, Sauvignon Blanc, Maule Valley rating was calculated by tastings.com to be 92 points out of 100 on 8/23/2018. Please note that MSRP may have changed since the date of our review.